Antanarivo, Madagascar --- It’s dawn at the Madagascar Biodiversity Center here. The roosters are crowing. The birds are chirping. And the lemurs are hooting and cackling at some inside joke that I must have missed. The talkative primates with curious faces and long tails are probably Madagascar’s most famous residents. More than 70 species of different sizes, colors and dispositions are entirely unique to this island, but they comprise just a tiny fraction of Madagascar’s distinctive plant and animal life. Bright chameleons, massive ‘upside-down’ baobab trees and, as Dr. Brian Fisher from the California Academy of Sciences points out, nearly 100 percent of the country’s ants are found only on this piece of land the size of Texas that is isolated by 200 miles of ocean from the east coast of Africa. For almost a decade, Dr. Fisher -- Chairman of the Cal Academy’s entomology department (a.k.a., the Ant Guy) -- has been traveling the 11,000 miles from San Francisco to this island that comprises one of the most diverse, unique and endangered biological hotspots on the planet. More than 90 percent of the country’s rich natural ecology is already lost to habitat destruction. Dr. Fisher and his team at the Madagascar Biodiversity Center are in a race against time to study and preserve what remains. Local communities rely on the slow-growing forest to supply fuel for cooking. It goes without saying that reliable gas and electricity infrastructure is virtually non-existent in this remote corner of one of the poorest countries in the world. And so the children of the villages collect wood to make charcoal for kitchen fires. As each year passes and the population grows, the children must go farther and farther to collect the wood they need. The villages’ meager daily subsistence is the single greatest threat to this fragile ecosystem. I’m here along with a team from SunPower and others from the Bay Area’s renewable energy industry that Dr. Fisher has recruited to help explore solutions. 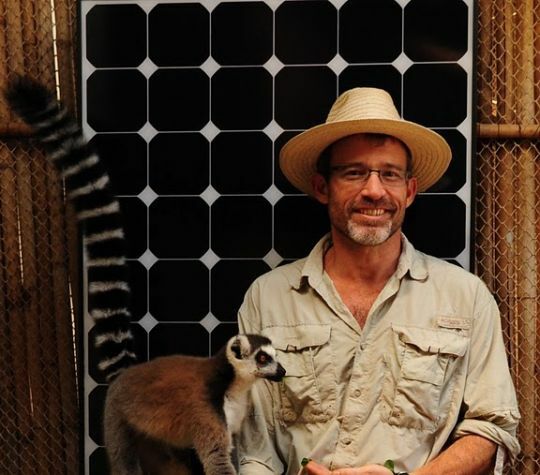 Surely, he figures, the same cleantech innovation engine that’s delivered breakthrough technologies and record market growth back home is equipped to tackle Madagascar’s energy challenges. We’re starting with the crown jewel of Dr. Fisher’s conservation efforts: the Madagascar Biodiversity Center, where he serves as Executive Director. 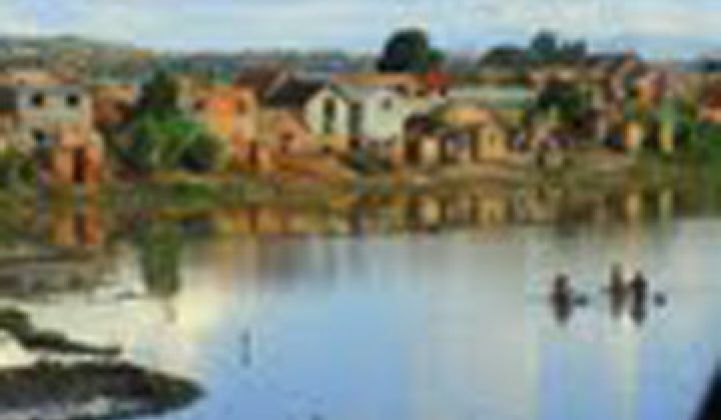 Located in the nation’s sprawling capital city of Antananarivo, the Center has a particular focus on empowering local students to protect their country’s rich biological heritage. 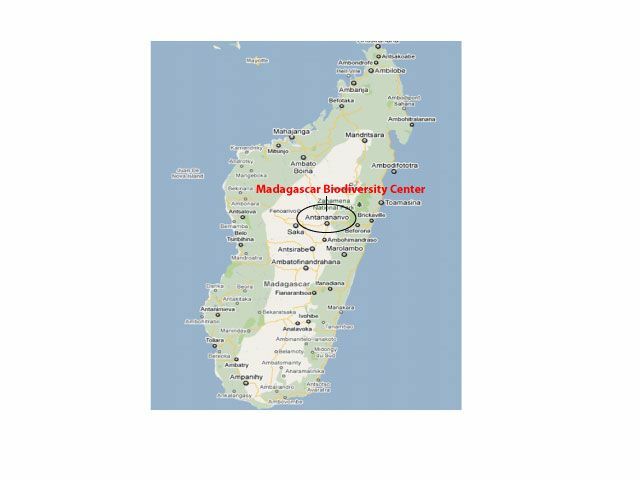 Center personnel instruct students from the University of Madagascar in systematics, ecology and conservation. Today, the Center is abuzz with students peering through microscopes, identifying specimens from the field, and flashing the signature Malagasy smile. But this work is routinely interrupted by the region’s intermittent power supply, which Dr. Fisher estimates has cost tens of thousands of dollars in lost equipment and productivity over the past five years. All that will change in a matter of hours when the Center flips the switch on its new solar energy system. At 7.8 kilowatts (kW), the PV system is one of the largest in the country. It’s comprised of SunPower panels with hybrid on-grid/off-grid capabilities courtesy of SMA and Trojan battery storage. The system will provide enough reliable electricity to meet 100 percent of the Center’s power needs for education and research. And by virtually eliminating the facility’s dependence on fossil-based generation from the local utility, the clean energy system advances the Center’s larger environmental mission. “The greening of Madagascar,” says Dr. Fisher, arms emphatically spread toward the roof. An afternoon spent up top with the smiling faces and skilled hands of the local installation team quickly proved that we’re not the only ones who see promise in a renewable energy future for Madagascar. And the spontaneous applause that erupted as the last panel was put in place was further indication of the good cheer that awaits us at this afternoon’s formal commissioning celebration. Following the festivities, we will travel across the country to Ranobe, a village on the front lines of the struggle between subsistence and spiny desert conservation. There, we will work with local leaders to identify future PV system sites and explore sustainable solutions for meeting the village’s everyday energy needs. A simple cooker that can achieve the high temperatures that tradition calls for? A more sustainable fuel source for their fires? A new stove design that burns more efficiently? No doubt the answer will be somewhat less grand that the sophisticated PV system we’re celebrating today. But the implications would be tremendous for this ecosystem on the brink and the people who call it home. Rosalind Jackson is the director of communications and development at the Vote Solar Initiative.